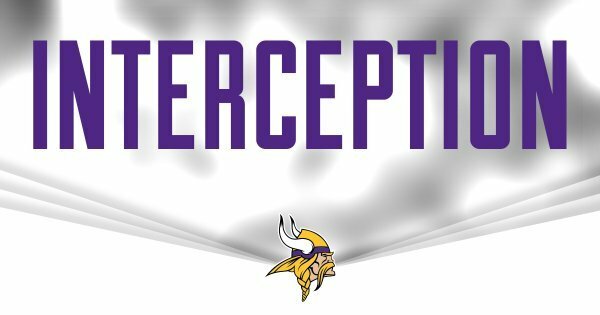 Heads up play by Anthony Barr. Falcons showing graying Morten Anderson and highlighting his OT kick in '98 NFC championship game at Metrodome. RELEASE THE HOUNDS!
. 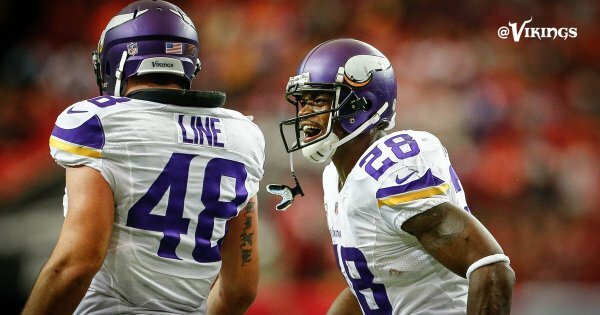 @AdrianPeterson passed OJ Simpson and Corey Dillon and is now 19th on the NFL's all-time rushing list. AD has 11,244 career rushing yards.
.@captain_41 snags his 10th career INT and 1st of the season. 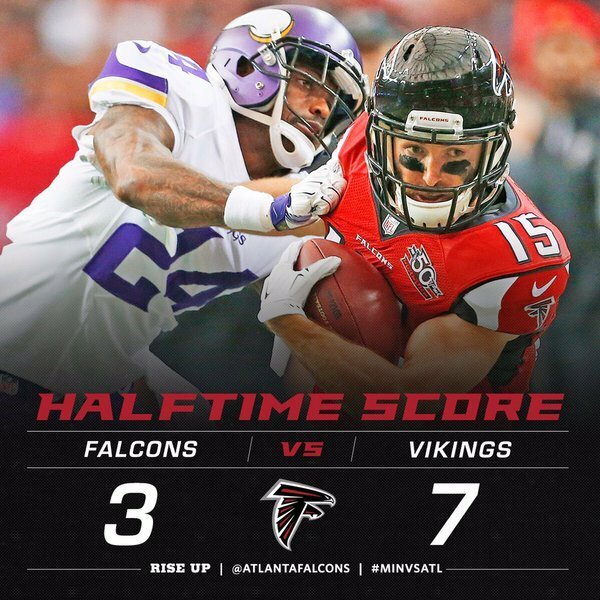 #Vikings lead 7-3 with the ball at their own 25.
.@JetMckinnon1 converts the third down attempt with a 6-yard carry.
.@teddyb_h2o finds @KyleRudolph82 and the #Vikings are in ATL territory with 28 seconds left.
.@KyleRudolph82 ties Joe Senser at 165 for 6th-most receptions among TEs in #Vikings history.
.@AdrianPeterson halftime stats: 12 carries for 48 yards and a TD. 1 reception for 18 yards.
.@KyleRudolph82 's halftime stats: 5 receptions for 41 yards.
.@itheeayb 's halftime stats: 3 tackles, 1 TFL and 1 FF. 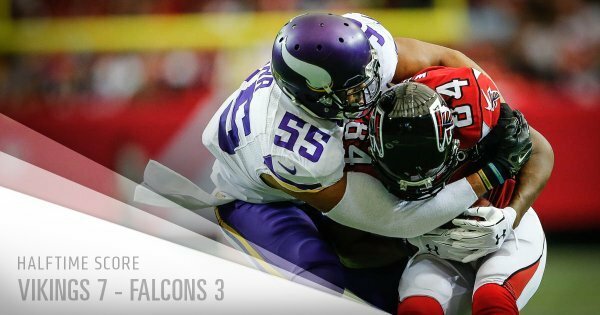 The #Vikings defense forced 2 turnovers and allowed 3 points in the first half. 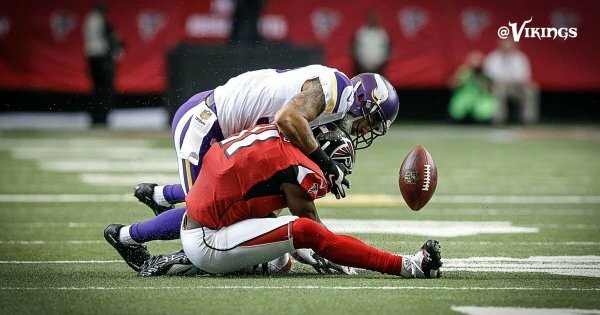 #Falcons will receive the 2nd half kickoff. 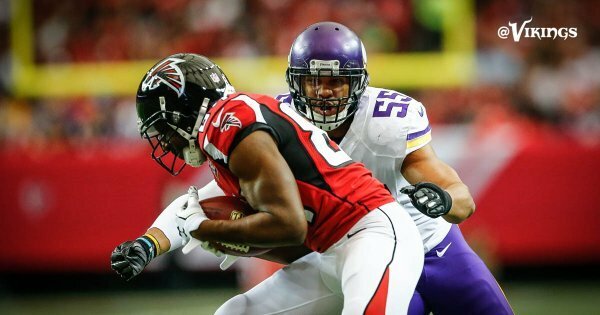 Anthony Barr had three tackles, one FF and this tackle for loss in the first half.